The minute I found this CD I was in love with the religiously romantic experience of listening to Josh Groban's heart-awakening voice. His voice awakens my entire being and it was as if my soul said: "Yes, this is the music you have been looking for." The first song threw me into a world of absolute musical ecstasy. I could not believe what I was hearing, nor could I believe how profoundly this music would affect me. One minute I was swirling in some dreamy exotic world where I felt complete love and happiness. Then, next I was crying because this music has an energy that permeates every part of your being. It takes you to new emotional depths and creates waves of emotions unlike anything I've ever heard. Not only are some of the lyrics an expression of beautiful vulnerability when in love (In Confession), some of the lyrics will even make you cry when you don't even know their meaning. I was amazed that I was crying when I could not understand the lyrics in Mi Mancherai (il postino). The violin is literally weeping in music. I think this music is more profound if you have always wished for your true love/soul mate to sing directly to you. It feels like every song was written for the listener and you can't help but get caught up in the full-range of emotions. Josh Groban captures all the emotions of the words and once I looked up a translation I understood why the song was so beautiful. Unfortunately the song translations are not included. And Love, that you take away. "When You Say You Love Me" is one of the most exquisite songs I've ever heard. I mean, this song could make you literally breathless. Remember When It Rained has an almost ecstatic soul-shivering ending. The music is as powerful as a storm and the ending is as cleansing and healing as the freshness of the air after a thunderstorm. The passionate lyrics are a bit like lightning that really capture your attention. Josh really pours an entire range of emotions into every selection, especially in Never Let Go. The power of the music and his voice is almost too much for my headphones. CLOSER is filled with classic bittersweet moments, melting and exquisite declarations of eternal love, heart-stopping lyrics and imaginative metaphors. All the elements intertwine to make this one of the most beautiful CDs I've ever heard. 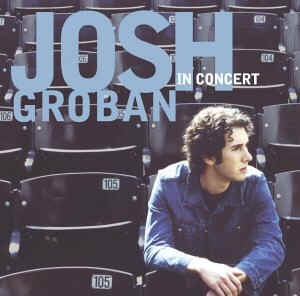 I am stunned into silence by Josh's voice and definitely want to go to a concert! The first time I listened to the entire CD I stayed up all night in a state of heady intoxication. I literally listened to this CD over and over again for 6 hours. Josh Groban made me into a fan in under two seconds. If you are a true romantic, his music will almost put you into a romantic trance. Josh's voice is the purest of spiritual ecstasy. His voice is almost timeless in beauty and inspires hope, courage and compassion. 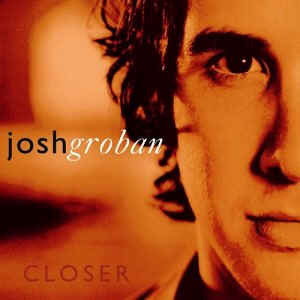 "To Where You Are" was my introduction to Josh's voice and yet I didn't fully realize the complexity or the beauty of his voice until I found his "Closer" CD. His very existence seems to raise your consciousness and the graciousness he displays on stage only made me respect him more. Josh seems as comfortable on stage as God must feel in heaven. His voice raises your spiritual awareness, drenches you in a tearful romantic high and at times can stun you into silence. At such a young age, he truly owns the stage. He even plays the piano in an impromptu moment amidst a conversation with David Foster. I was impressed with how Josh allows the creative process to evolve around him and how he shares the stage with talent from near and far. Angie Stone and Andrea Corr sing duets with Josh in this concert. The moment with Lili Haydn is stunning as she seems to appear as an angel and Josh looks on in wonder to where she plays her violin with a backdrop of special lighting/shadow visual effects that takes Jesu, Joy of Man's Desiring to entirely new levels. Josh climbs stairs in "Let Me Fall" and then actually "falls." It is all planned and they show the details in the Making of the Special section. Rose petals swirl in the breeze in the background on huge screens as Josh sings Alejate. 1 Bonus CD – Songs from the concert with the additional selection of O Holy Night. Song Selection – Quickly locate any of the 15 songs from the concert. Special Features – Making of the Special, Chris Groban's Backstage Footage and Weblinks. Setup Options - The lack of song translations in the subtitles was slightly disappointing. I would have loved to read the words in English, as it would have added an additional layer of depth to the romantic Italian and Spanish ballads. Fortunately song translations for Un Amore Per Sempre and Alejate are readily available online. Josh Groban in Concert is a highly collectable and romantic concert that not only displays Josh's breathlessly beautiful voice, it also displays the depth of his commitment to music and his spontaneous comedic side.